Will Strawberry Plants Come from a Buried Strawberry? Q: Will Strawberry Plants Come from a Buried Strawberry? What happens if I plant directly the fruit in the ground? Will the seeds germinate? Answer to: Will Strawberry Plants Come from a Buried Strawberry? If you dig a hole, put a strawberry in it, and cover it up, you most likely won’t ever see strawberry plants grow from the strawberry. In nature, the strawberries are eaten by birds and other critters, and the seeds are subsequently passed. This usually occurs during the spring or summer. As the seeds plummet to the ground in their, ahem, new environment, they splat and get covered by a thin layer of organic matter/dirt over the course of the rest of summer, fall, and winter. Out of this thin layer of soil, following months of cold, the seeds will germinate with the first warm weather of late winter or spring. The seedlings are tiny. If they are below the surface more than just a bit, they won’t be able to make their way to the light (which helps some varieties germinate as well). 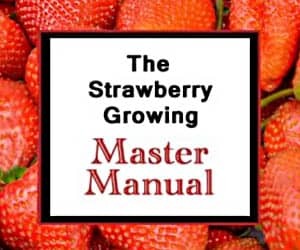 So, if you are trying to grow a strawberry plant from a strawberry, the best option is to thinly slice the strawberry, dry it, and then lightly cover it where you would like it to sprout outdoors prior to the cold winter temperatures. This can be a rewarding experience IF you can keep the bugs and the birds from finding, stealing, or destroying your buried strawberry slices. It is much easier to just buy strawberry plants from a nursery or supplier. I think I did something dumb I have a strawberry plant that grows really small strawberries I ate my best strawberry and tossed it back in the strawberry plant. 1. Will it grow? 2. How do I get bigger strawberries? You can grow strawberries from strawberries. I do not bury them. Just let nature do is work!!!!! I’m wanting to grow some strawberry’s indoors in Saskatchewan during the summer. I am wondering if just throwing in a strawberry or some of its seeds will work?? That’s great! Keep us posted on how it goes, and good luck! I will have to disagree, I buried 6 strawberries in a pot and now I have 13 sprouts popping out of the soil. The answer is Yes, strawberries will grow from buried strawberries. Any special mix of soil? Unfortunately, strawberries will not grow in the same way as pineapple plants will. Sorry! Can you plant a strawberry from a buried strawberry? 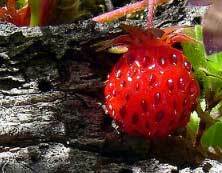 Yes, it is possible to plant a strawberry and have one or more seeds germinate into strawberry plants. It is typically better, however, to remove the seeds and allow each one an opportunity to germinate independently. Good luck! How do you germinate strawberry seeds ? I tossed a few old strawberries out for the birds about a month ago and today I have small strawberry plants growing in my back yard where they were tossed. We have resently bout strawberries and some were roten,if I plant the strawberries as is will they grow a strawberry plant,or what should I do to grow on? You can grow strawberries from seed. See here. Good luck! I have a strawberry and some of the seeds on it were starting to sprout I picked it and was wondering if I could plant it or bury the half that wasn’t sprouting and it would grow? Yes, you can plant it and grow strawberry plants from the viviparously germinating seeds. However, you will need to remove most of them as none will do well if they are all planted that closely together. You can cut off sections of the strawberry and plant each in a separate location (like planting multiple eyes from a single potato), if you’d like. For more information, see this post on vivipary in strawberries. Good luck!